Manager John McGlynn delighted to land his men after long summer search. 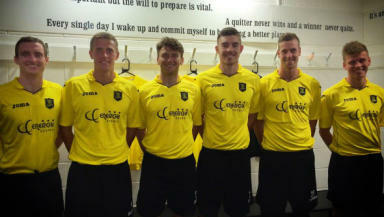 Livingston have added six new players to their squad after a summer of scouting by manager John McGlynn. David Robertson, Declan Gallagher, Michael McKenna, Bradley Donaldson, Rob Ogleby and Jordan White will all be plying their trade at the West Lothian outfit next term. Former Dundee United, St Johnstone and Morton midfielder Robertson, 27, adds a wealth of experience in the top flight to Livi's squad. Defender Gallagher, 23, left Dundee this summer after two years at Dens Park where he clocked up 68 appearances in dark blue. McKenna is a wide midfielder signed from Musselburgh Athletic. The 23-year-old has been capped by the Scottish juniors side and caught boss McGlynn's eye earlier in the year. Defender Donaldson, 20, was released by Hibs in May after coming through their youth system, while Ogleby, a 22-year-old striker, was at Hearts until 2012, when he moved to Wrexham. Welshman Ogleby notched 12 goals in 53 appearances at the Racecourse Ground. Jordan White, also an attacker, joins from Stirling Albion, where he scored 36 goals in 75 games. McGlynn said he was happy to have taken his time to get the players he wanted. 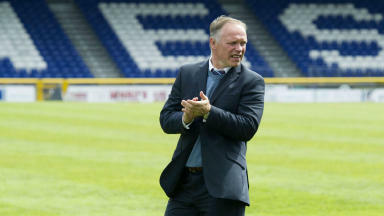 He said: "We had a lot of players in on trial and I'm very happy with the ones we have signed. "Hopefully there are still one or two still to come but these six have already settled in well with the squad."